Doctors always emphasize the importance of drinking enough water, but few patients understand why. Is it to flush out toxins from the system? Assist in weight loss? Help relieve common health problems? 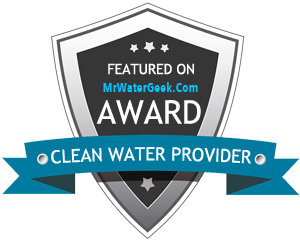 There are plenty of articles out there extolling the benefits of drinking water, many of which make claims without sufficient evidence; and then there are the real reasons to drink water. Lose weight: Drinking water helps you lose weight because it flushes down the by-products of fat breakdown. Drinking water reduces hunger, it's an effective appetite suppressant so you'll eat less. Plus, water has zero calories. Here are the further details on how to achieve fat loss by drinking water. Look Younger with Healthier Skin: You'll look younger when your skin is properly hydrated. Water helps to replenish skin tissues, moisturizes skin and increases skin elasticity. Natural Remedy for Headache: Helps to relieve headache and back pains due to dehydration. Although many reasons contribute to headache, dehydration is the common one. Better Exercise: Drinking water regulates your body temperature. That means you'll feel more energetic when doing exercises. Water also helps to fuel your muscle. Less Cramps and Sprains: Proper hydration helps keep your joints and muscles lubricated, so you'll less likely get cramps and sprains. Less Likely to Get Sick - Feel Healthier: Drinking plenty of water helps fight against flu and other ailments like kidney stones and heart attack. Water adds with lemon is used for ailments like respiratory disease, intestinal problems, rheumatism and arthritis etc. In another words one of the benefits of drinking water is that it can improve your immune system. Follow this link for further information on how lemon water can improve your health. Good Mood: Your body feels very good and that's why you feel happy. Another benefit of drinking water is to maintain a healthy balance of bodily fluids. The human body is composed of about 60% water. The functions of these bodily fluids include digestion, absorption, circulation, creation of saliva, transportation of nutrients, and maintenance of body temperature. When you're low on fluids, the brain triggers the body's thirst mechanism. And unless you are taking medications that make you thirsty, Guest says, you should listen to those cues and get yourself a drink of water, juice, milk, coffee — anything but alcohol. Alcohol interferes with the brain and kidney communication and causes excess excretion of fluids which can then lead to dehydration.